Delivers 29 Highway MPG and 20 City MPG! 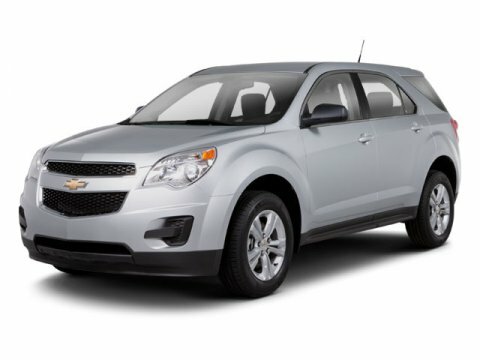 This Chevrolet Equinox delivers a Gas I4 ECOTEC 2.4/146.5 engine powering this Automatic transmission. WHEELS, 18" (45.7 CM) MACHINED ALUMINUM, TRANSMISSION, 6-SPEED AUTOMATIC WITH OVERDRIVE (STD), TIRES, P235/55R18 ALL-SEASON, BLACKWALL. *This Chevrolet Equinox Comes Equipped with These Options *SUNROOF, POWER, TILT-SLIDING WITH EXPRESS-OPEN AND WIND DEFLECTOR, SEATS, DELUXE FRONT BUCKET (STD), LTZ PREFERRED EQUIPMENT GROUP includes standard equipment, LIGHT TITANIUM/JET BLACK, PERFORATED LEATHER, LICENSE PLATE BRACKET, FRONT, ENGINE, 2.4L DOHC, 4-CYLINDER SIDI (SPARK IGNITION DIRECT INJECTION) with VVT (Variable Valve Timing) (182 hp [135.7 kW] @ 6700 rpm, 172 lb-ft [232.2 N-m] @ 4900 rpm) (STD), CARDINAL RED METALLIC, AUDIO SYSTEM, AM/FM/XM STEREO WITH CD PLAYER and MP3/WMA playback capability, Graphic Interface Display (GID), Radio Data System (RDS), speed-compensated volume, auxiliary input jack and outside temperature display (STD), XM Radio is standard on nearly all 2011 GM models and includes 3 months of trial service. Get over 170 channels, including: commercial-free music, sports, news, talk, entertainment, comedy, family and kids' channels, and much more. With XM's incredible range of programming, everything worth listening to is on XM (Requires a subscription sold separately by XM after the first 90 days. Available only in the 48 contiguous United States and District fo Columbia. Visit gm.xmradio.com for details. ), Wipers, front variable-speed, intermittent with washer..* Visit Us Today *Come in for a quick visit at Bleecker Buick GMC, 926 E 4Th Ave, Red Springs, NC 28377 to claim your Chevrolet Equinox!